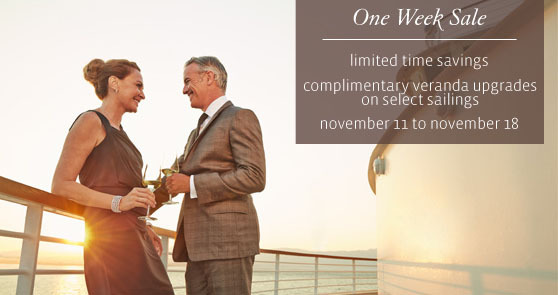 Seabourn have announced their latest One Week Sale which starts on 11th November 2013. With Fares from just £1,399 per person there has never been a better time to experience the Luxury of Seabourn. Please call Deluxe Cruises today on 01202 520321 to check on the latest pricing and availability.